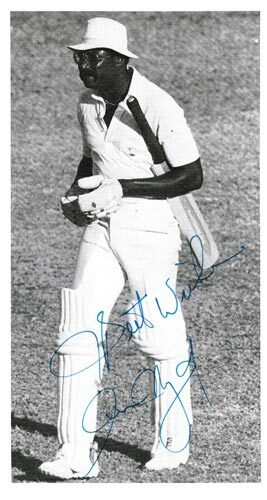 Signed West Indies B&W cricket pic batting against Australia at Adelaide. 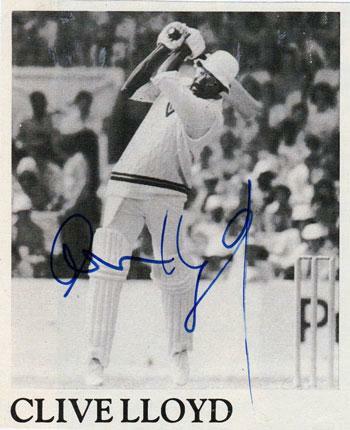 Signed (with "Best Wishes") West Indies cricket pic batting against England at Bridgetown, Barbados. 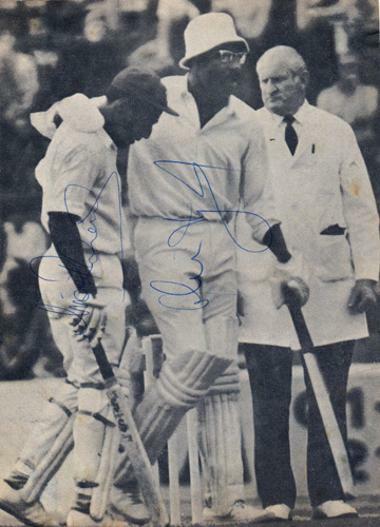 "End of Another Great Innings"
Signed West Indies cricket pic. 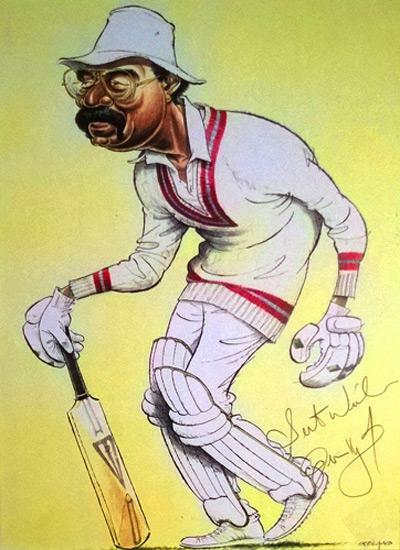 A John Ireland caricature print of former West Indies cricket captain and Lancashire county legend CLIVE LLOYD - the Big Cat! 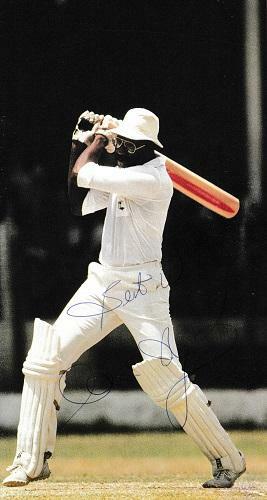 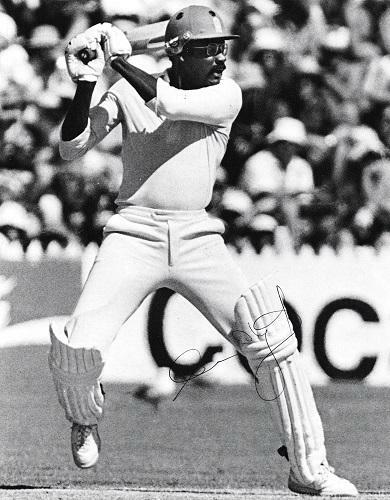 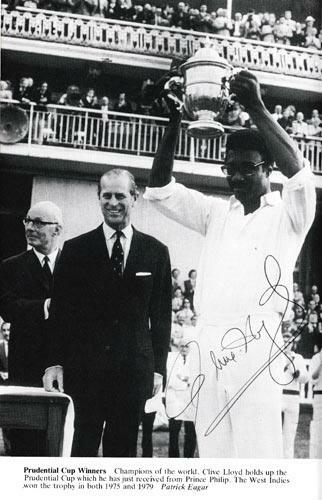 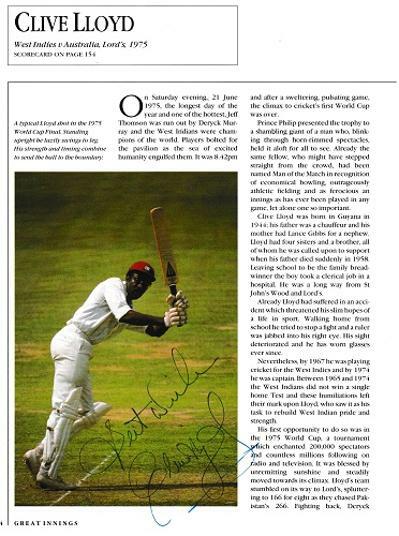 Welcome to our web page for West Indies cricket captain CLIVE LLOYD and his signed cricketing memorabilia.